It may be the biggest faith-challenging question: "Why does God allow bad things to happen to good people?" 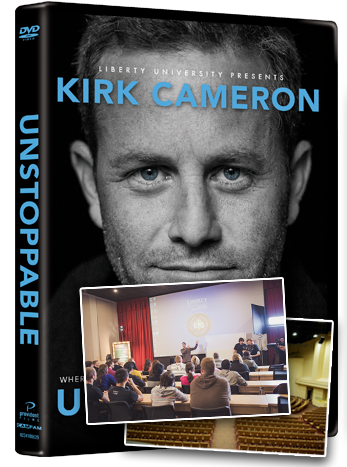 Your church can be a hub for discussion and ongoing dialogue for questions of doubt and faith by utilizing Kirk Cameron's UNSTOPPABLE. With an official Site License, you can show UNSTOPPABLE at your church or other public setting. Get ready for a high-impact, community-wide Unstoppable movie event! Order Your Site License Today! A license is required for any group showing outside of personal home use, whether admission is charged or not. UNSTOPPABLE is not covered under any umbrella license program (such as CVLI).